Honda is one of the most popular brands when it comes to vehicles, especially motorcycles. The company has created history while providing the leanest and meanest of machines for bikers,whether professionals or amateurs. Their range of bags for Honda Valkyrie motorcycle is very sturdy and provides extreme durability. These bags come in hard cover in order to protect one’s belongings properly. 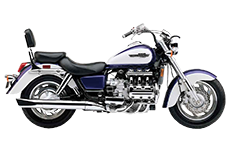 They also come in a wide variety of models that fits the Honda Valkyrie motorcycle perfectly. 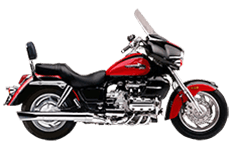 All bags for Honda Valkyrie motorcycle come in a variety of sleek designs and complimentary mounting hardware. 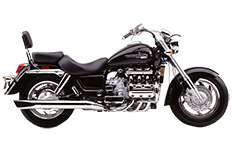 Honda Valkyrie bags are generally available in black. However you can also opt for custom makes if you want a specific color and make a definite statement. The designs of these bags vary, in order to suit the varying requirements of riders. All bags for Honda Valkyrie motorcycle are known for their durability and longevity. They not only make an excellent road partner, but offer every buyer excellent value for their money as well.Easily fixed to any bike, this sleek design of these saddlebags make every Honda motorcycle look even more amazing than before. A Honda Valkyrie motorcycle bagnot only becomes your style statement but also gives one immense support while one is riding. Made from a combination of leather, fiberglass and plastic, they protect all contents from the harsh weather conditions. Available in different sizes, they come with built in facilities like sturdy locks and Velcro flaps that lessen the chances of loss and theft. Most of these bags come in black which project a sleek look, streamlining easily with the body of the bike.What’s more, this beautiful look can least just as new for years. All in all, these durable and affordable bags offer every user excellent value for their money.